Framingham, MA — SCIEX, a global leader in life science analytical technologies, today announced the appointment of Inese Lowenstein as the new president of SCIEX, replacing Jean-Paul Mangeolle who is retiring. In her new role, Ms. Lowenstein will focus on accelerating innovation driven by a deep understanding of customer needs, while further improving the commercial execution to provide researchers with premier end-to-end MS-based solutions to enable customers to obtain life-changing answers faster. Mr. Joe Fox, who most recently held the role of Vice President of Separations, is now appointed Senior Vice President of Global Sales, Service and Digital Marketing, the position that Ms. Lowenstein previously held with SCIEX. Since joining SCIEX in August of 2016 as Senior Vice President, Global Sales and Service, Ms. Lowenstein has demonstrated her passion for people by creating an engaged culture, spearheading the establishment of the first-ever SCIEX Diversity & Inclusion Council and serving as its Executive Champion. Ms. Lowenstein came to SCIEX with nearly 25 years of experience and a very strong leadership background in Sales, Marketing, Product Management, and General Management, with more than 20 of those years served in science related industries. Ms. Lowenstein is a pioneer in the STEM fields (science, technology, engineering, and mathematics) and prior to joining SCIEX, she held roles of increasing responsibility at Merck KGaA and EMD Millipore, most recently as an Executive Vice President, Head of Display Materials Business Unit, Performance Materials. 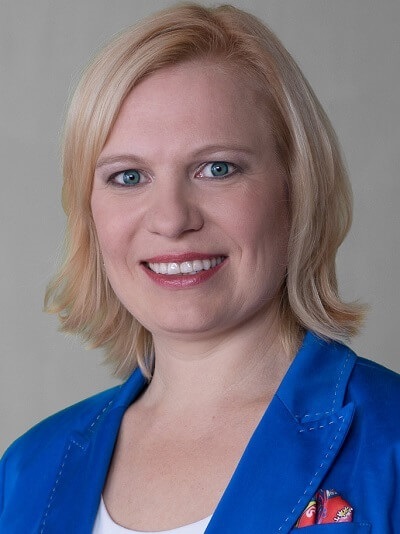 Ms. Lowenstein holds a Bachelor of Engineering Science from Riga Technical University, Latvia and an MBA from Walter A. Haas School of Business, University of California at Berkeley. According to a 2014 U.S. Bureau of Labor Statistics report, women comprise 53 percent of biological scientists, 52 percent of medical scientists, but only 39 percent of chemists and material scientists and 28 percent of environmental scientists and geoscientists. In addition to these statistics, women have not seen employment growth in STEM careers since 2000. To learn more about SCIEX, their customers and SCIEX executive management, visit sciex.com/about-us.